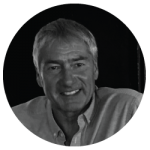 Jim founded Fairland almost three decades ago, having run a successful Carpentry and Joinery business that had serviced the leisure industry for seven years prior. Jim has always recognised the importance of ongoing professional development. As well as his Carpentry and Joinery Advanced City and Guilds, he has attained his Building and Surveying City and Guilds, ONC and HNC in Construction and Surveying and IOB. Jim’s the man at the top of the tree, with overall financial control of the company. He works closely with our internal accounts team and external accountants. 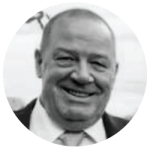 He’s still very much at the coalface of the business and never too busy to liaise with our clients, Operations Director, Contracts Managers and Site Agents. Jim believes the most important part of his role is offering help and advice on a variety of contract and site issues that are very much part of the Fairland working day. He’s dedicated to the success of his clients, his team and his company. A degree in Historic Design means that Louise is very much at home knee deep in bricks and mortar. 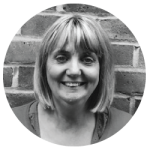 She’s been part of the Fairland team since the company was first established in 1990. 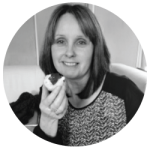 As a Company Director and Company Secretary, Louise is involved in future planning and also heads up our HR team. Her standards are exacting because she knows it’s our people that make your project successful. Louise will tell you that her role at Fairland Contractors is fun, challenging and never dull! And when she’s not working you’ll find her enjoying her favourite pastimes, walking, yoga, cooking, socialising, dining out, music concerts and spending as much time as she can with her two-year-old grandson. As Operations Director Justin is very much Jim and Louise’s right-hand man. He’s been part of the team for almost a decade, and his forward-thinking philosophy has taken the company in new directions. His door is always open to anyone needing assistance or advice, whether that be management, team members or clients. He’s dedicated in his quest to make working with, or for, Fairland a fantastic experience. He very much fosters the hardworking family ethos that we permanently strive for at Fairland. When Justin isn’t at work, you’ll find him spending time with friends and family, watching what he calls, real football, lower league football. He also enjoys live music and anything that is Italian scooter orientated. Everybody is part of the family at Fairland, but some are related by blood… Alex is Jim and Louise’s nephew. 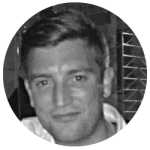 Alex who has an NVQ level 3 in Carpentry and Joinery and HNC in Building Studies, first joined us as an apprentice in 1998. He worked his way through the ranks and is now a Senior Contracts Manager. 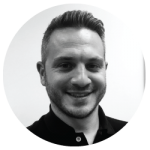 If you asked Alex to describe his role in just five words, he would say that it’s “Diverse, challenging, constant, fast-paced and rewarding.” He spends his days tendering and pricing projects. He also liaises with our current and prospective clients and organises working sites. Our people tend to stick around… And Mark is no exception; he’s been with us for twenty-three years. He originally joined Fairland as an on-site labourer back in 1995. 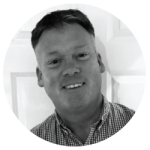 But these days, Mark is a Contracts Manager working closely with our clients to ensure their projects come in on budget and on time! The knowledge he gained working his way through the company ranks, has ensured he’s become a top class Contracts Manager. He knows that communication is key in his role, and he’s always available to talk through any project details with you. When he’s not at work you may find him watching the footie; he’s a QPR fan, or on the golf course. Mark also enjoys travelling and socialising. 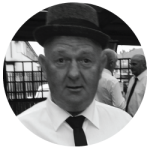 As a qualified Carpenter & Joiner, (Carpenter and Joinery Advanced Craft City and Guilds), Roger has an eye for detail that makes him a stand out Contracts Manager. He’s been part of the Fairland team since 2010 but has known our Director, Jim, for many years, working in various other roles for him. Roger knows pretty much everything there is to know about the pub world. As a Contracts Manager, his main roles within Fairland are planning works in line with budgets and programs, procuring Health and Safety SWP, and overseeing projects on site. He’s reliable, dedicated and efficient, traits we know our clients appreciate. When Roger isn’t at work, he enjoys following Moto GP and motorsport, walking in the countryside and leisure cycling. John has been a Contracts Manager at Fairland for almost three years. In Fairland terms that makes him a relative newcomer! That said, John’s taken to the role like a duck to water, he says he finds his work, “Rewarding, satisfying, challenging, always changing and fast-paced.” Yes, that’s pretty much how we roll at Fairland! 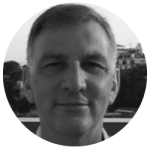 John spends his time at work liaising with site managers and designers on a daily basis, to ensure the smooth running of projects. Outside of work, John’s hobbies aren’t necessarily what you might expect… He enjoys, finger painting, poetry, songwriting and playing his banjo on the edge of a bank of a quiet stream. That’s what we love about our team… Their personalities. Phil is our newest Contracts Manager, having been with us for almost two years. 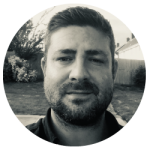 He is perfectly qualified to be part of the Fairlands team with SSSTS Qualification, City and Guilds Leadership and Management ILM Level 3, NVQ Level 2 Qualification. He also joined us with a building background, his experience speaks for itself, and he has become a much-valued team member. 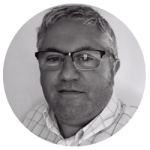 Phil spends his days as a Contracts Manager, managing costs, ensuring health and safety is top notch and most importantly, keeping our clients, suppliers and contractors happy. When he’s not onsite or in the office, you might find Phil on the golf course, and you’ll also find him enjoying time with his family and friends. Ian is the newest member of our team, having joined in July 2018. He brings with him seventeen years of experience as a Registered Qualifying Supervisor with NIC/EIC. This strong industry background has ensured his stellar success in coordinating a team of Electricians and M&E Engineers. Ian is in charge of ensuring our works are carried out to the highest of standards and are fully compliant with associated regulations. He’s also the man that heads up the allocation of certification. You’ll most often find Ian on site when he’s at work, and when he’s enjoying time off, you may well find him on the golf course. He also enjoys live music and spending time with his family and friends. Carole is our patient and very busy buyer. Jim and Louise have known Carole for over twenty years, and when she was made redundant from one of Fairland’s suppliers a few years ago, we knew she’d be the perfect person to join our team. She excels at keeping everyone in the loop and works efficiently in our fast-paced office environment. 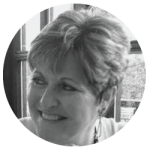 Carole’s role is instrumental in the success of our client’s projects. She sources your materials and makes sure those materials are where they need to be at the right time. Out of work Carole is a doting grandma and enjoys spending time with her grandson, gardening and walking. When Kim isn’t at work, you might find her babysitting… She’s a happy granny of three (soon to be four) grandchildren. She enjoys walking and reading and is a keen Arsenal fan. She might also swap the tea for a glass of wine (or two) at the weekend. Karen joined our Accounts Department to work alongside Kim three years ago. She’s always cool, calm and collected and a great asset to the team. She deals with general accounting tasks, but, just like Kim, is no stranger to fixing a brew! Karen thrives on the busy and fast-paced working environment we have at Fairland, and when she takes time off, you’ll find her socialising with friends & family. Karen also enjoys concerts, walking, and watching the footie, Chelsea is her team! 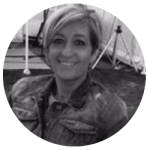 Nicky has been with us for seven years and is very much our Go-To-Girl for Contracts Managers, Site Managers and clients. She coordinates much of the ongoing daily site administration. Her varied duties call for excellent organisational skills, helpfulness, patience, and reliability. Our clients and the other team members she works with tell us that she has all these traits by the bucket load! 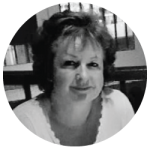 When Nicky isn’t at work, she enjoys spending time with her family, and loves going to the cinema, walking, weekend breaks away and beach holidays. Jeff knows Fairland inside out; he worked with us as a driver from the year 2000 for many years. This year we coaxed him back into the Fairland fold to take care of numerous and varied administration roles, from tool hire to health and safety. Jeff will tell you that it’s the variety that he loves most about his job.